It’s well known that several of Dickens’ novels were first published in the UK in monthly parts. Dickens was extremely popular at the time, and some of the print runs must have been very high. But they were fragile things and naturally relatively few have survived. Sets of the original part-issues are now scarce and can be very valuable. 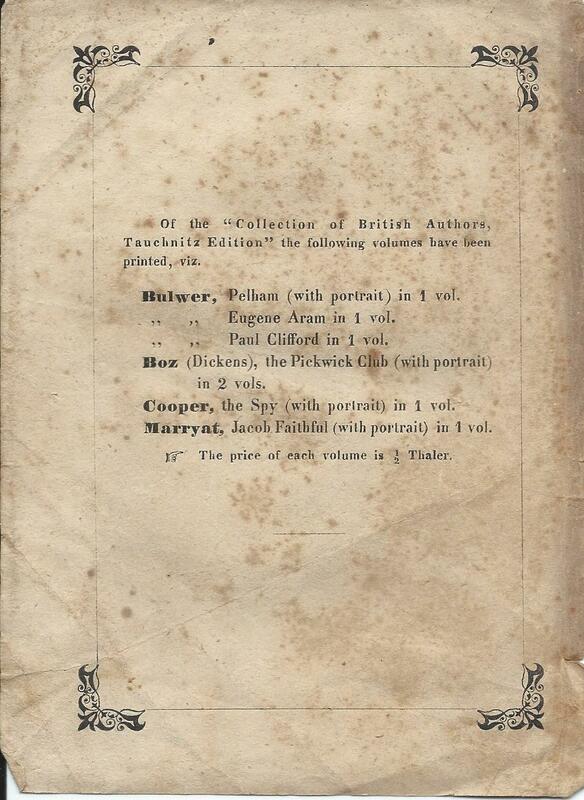 A first printing set of the part-issues for ‘David Copperfield’ or ‘Oliver Twist’ would now set you back many thousands of pounds. 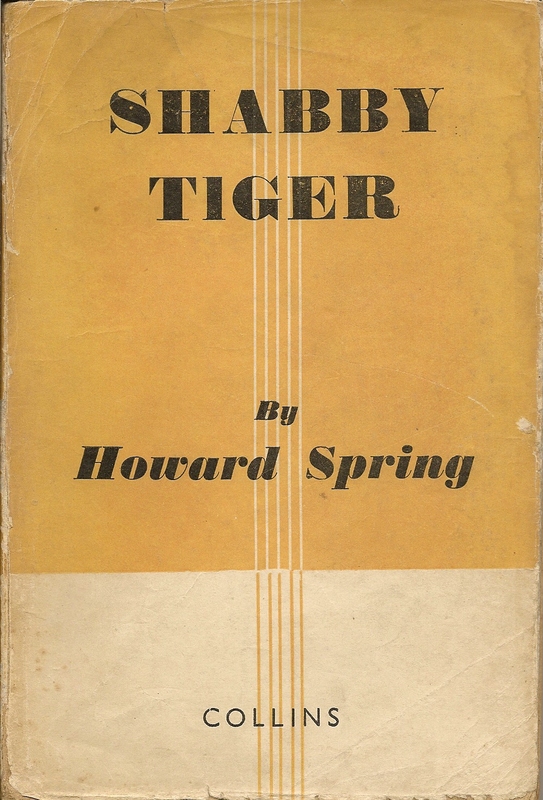 Perhaps less well known is that the Continental editions of some of the novels, published by Tauchnitz, were also issued in the same monthly parts, concurrently with the UK instalments. They were not quite as lavish as the UK issues, in plain covers and without all the illustrations (or adverts) and it’s unlikely that they would command prices anywhere near those quoted for the UK editions. But it’s almost certain that they’re much rarer, to the extent that there are no known surviving copies of most of them. And it’s possible that some of them may have been published ahead of the UK parts and so represent the very first printing. 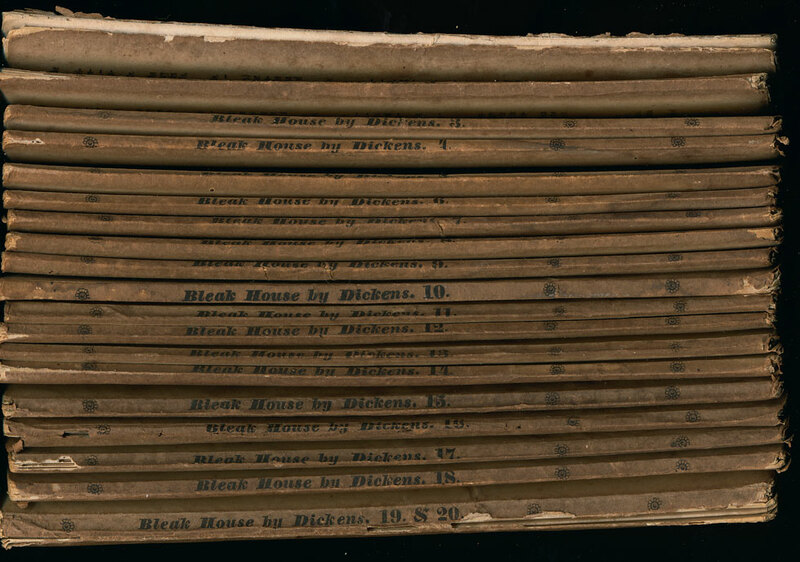 Five of Dickens’ novels were treated in this way, starting with ‘Bleak House’ in 1852 to 1853, followed by ‘Little Dorritt’ in 1856 to 1857, and later ‘Our mutual friend’ in 1864 to 1865. Each of these novels was made up of 20 monthly parts, of which the last two parts were combined in a single issue. At least one full set of the parts of ‘Bleak House’ has survived, and is illustrated below, although I don’t know where it currently is. A small number of other individual parts of all three novels are also known. As well as these three long novels, ‘A Tale of Two Cities’ is believed to have been issued in 8 parts in 1859, and then finally ‘Edwin Drood’, for which the first 6 parts were issued in 1870, before being interrupted by the death of Dickens. I am not aware of any surviving copies even of a single part of either of these novels, although I’d love to hear of one. Overall of around 70 different part-issues from Tauchnitz, fewer than 25 are known to have survived in even a single copy. 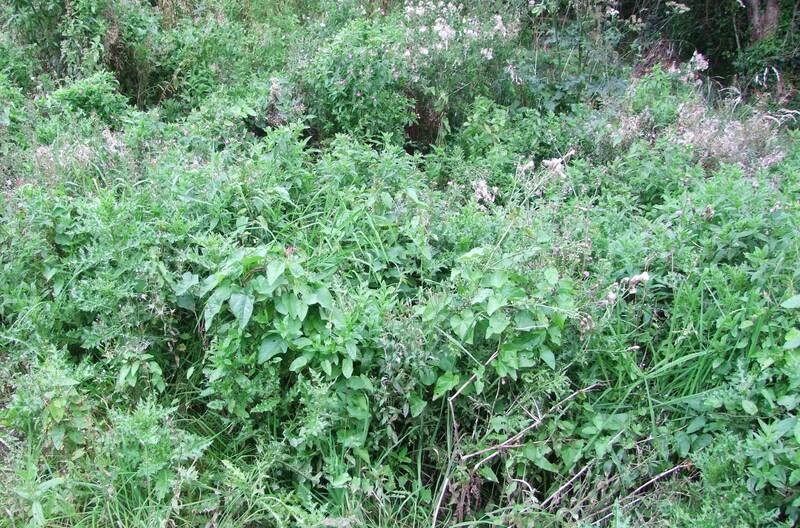 With the coming of Autumn, the weeds finally ceased their previously unremitting march across the orchard and it was possible to think again about making some progress. 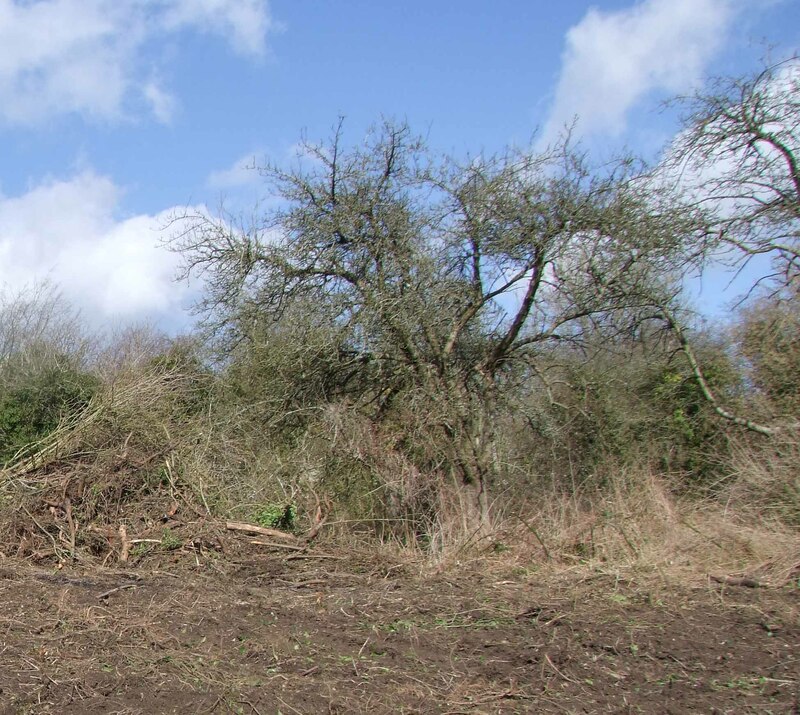 The idea of re-clearing the bit I’d cleared the previous winter was just too depressing, so I started instead on a new bit, trying to push on down by the side of the hedge and re-establish access to the bottom of the site. Until we could walk around it a bit and get a better idea of the lie of the land, it was hard to get any kind of plan for how it could be laid out. 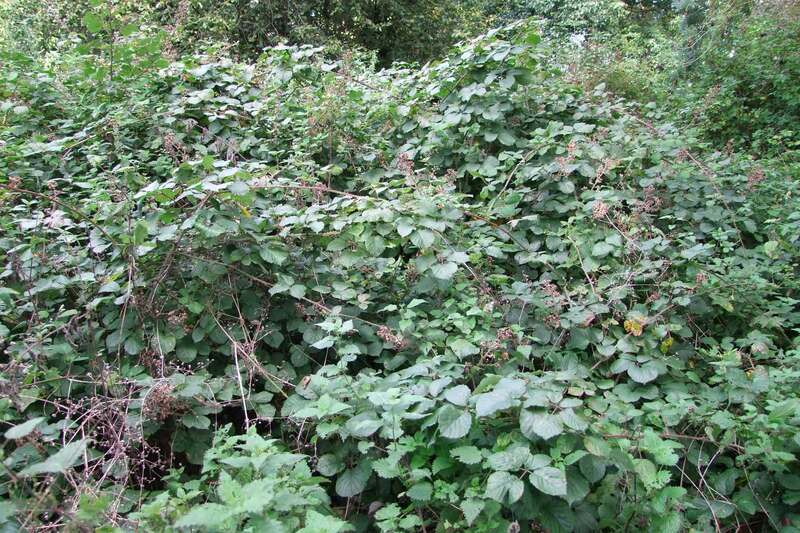 The vague idea in my head was to break through some of the bramble thickets and clear paths around and across the site. Progress was painfully slow. I worked at it with secateurs, cutting away small sections and piling them up ready to be burned. Trying to take out too long a section of bramble usually meant it clung to your clothes and tangled up as you pulled it out. So it had to be done bit by bit. And then after cutting back down to ground level, the roots had to be dug out, which was hard, physical work. After several hours work the thicket hardly seemed to have receded, although progress could at least be seen in the mounting pile of the bonfire. I kept at it, day after day, until finally I could break through and walk down the whole length of the field. From the autumn of 2014 through to February 2015 I was down in the field most days for at least an hour or two, sometimes much longer. I tried a few times to burn the accumulated piles of bramble, with some success, but it was always hard work, gradually getting a fire going with the drier bits then not piling the rest of it on too fast to avoid putting it out. In the end it seemed easier to leave the piles for drier weather. By the time winter was starting to recede, I could see real progress. Still perhaps half the site was almost completely inaccessible, but over the rest of it, including all of the side down along the road, enough had been cleared to be able to walk around it. For the first time we could start to get an idea of the scale of the site and what was there. As well as opening it up to us though, I had opened the field up to everybody else. The hedge along the roadside had turned out to be little more than a row of largely self-seeded trees interspersed with weeds. Cutting back the brambles and particularly the ivy that had climbed over everything, left little more than a few fairly unattractive trees and some relatively bare areas of died back nettles and other weeds, often strewn with litter. 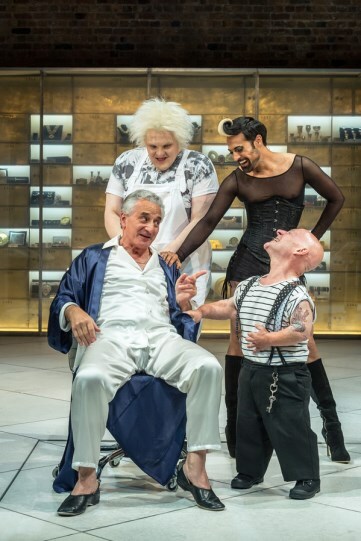 The great joy of the site had been how thoroughly secluded it was. Although barely a couple of hundred metres from the centre of the village, you could stand in the centre of it and imagine yourself in the middle of nowhere. That was no longer true. From the centre now, you could see the world – and the world could see you. I wrote last year about the Collins White Circle editions and other Collins paperbacks published in India around the end of the war, and mentioned the similar issues for Ceylon (now Sri Lanka). So here finally is more about those editions. 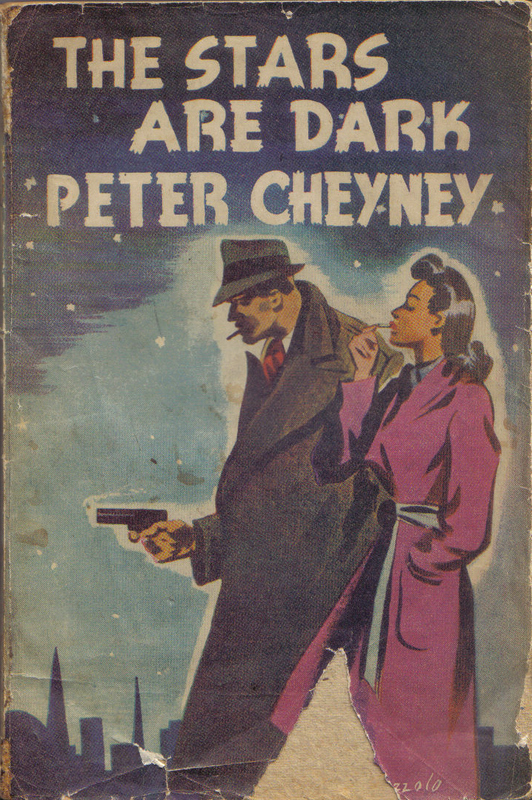 There are certainly far fewer of them than the Indian editions, probably only around twenty books. Like the Indian editions, they’re very difficult to find, but I wouldn’t say necessarily more difficult, so maybe the print runs weren’t a lot smaller. Some day it would be great to get to Sri Lanka and search for them there. But for the moment I have to make do with what can be found in Britain. Several of them include lists of the books published in Ceylon, including varying numbers of titles, with the longest list I’ve seen covering 18 novels. I do have two books though that aren’t on that list, so it’s certainly incomplete. At first glance most of the books are indistinguishable from the Indian editions and it’s only from the internal information about printing and price that they can be distinguished. Some of the same cover styles were used, but just with less variety. There was though the same split between higher-priced Collins paperbacks and cheaper White Circle Editions. 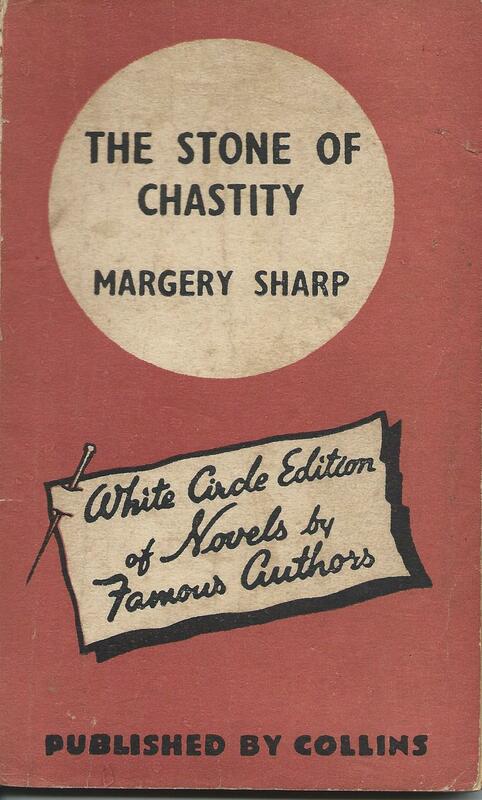 The White Circle books sold for one rupee, while other Collins paperbacks were 2 Rupees or 2 Rupees and 50 cents. The lists of titles though mix both types together, so they clearly weren’t seen as completely separate series. All the books that I’ve seen were printed by the Times of Ceylon Co. in Colombo under the name of David Vast, and published around 1945 or 1946. It seems likely that they were aimed mostly at British forces stationed in Ceylon or other British expatriates living there, but there would have been some market as well amongst the local population. Most of the books carry adverts, either on the back cover or the dustwrapper flaps, often for Lifebuoy soap, and these look as if they’re aimed at the expatriate population. 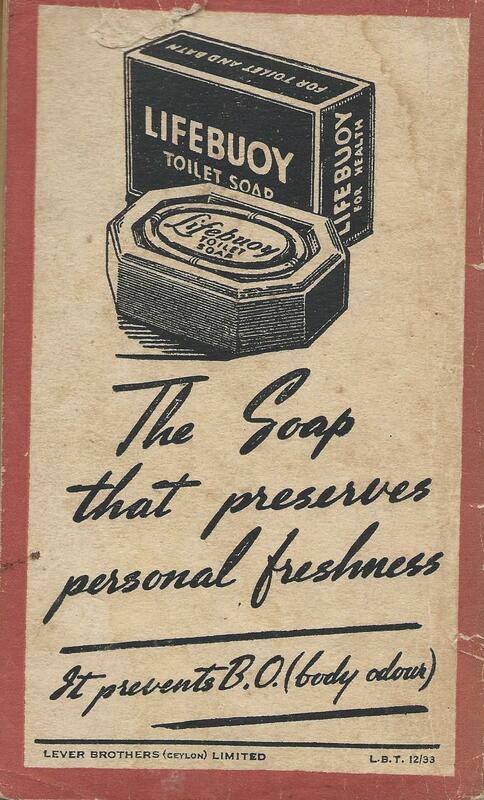 I’m sure that local people were concerned about personal freshness too, but perhaps without the insecurities of the British about B.O.! More evidence for the books being aimed at expatriates or forces personnel comes from the fact that copies do still turn up occasionally in Britain, presumably brought over when the purchasers came home. As with the Indian editions though, I’ve never been able to find a copy of any of the Westerns in the series. Were they seen as too trashy to be worth bringing back? The earliest known Tauchnitz paperback? 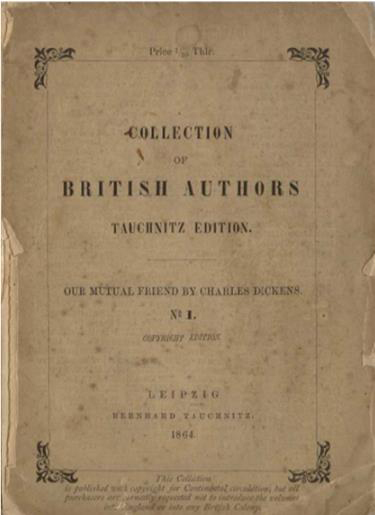 The Tauchnitz ‘Collection of British Authors’ launched in 1842 (or possibly late 1841) with ‘Pelham’ by Bulwer Lytton as volume 1 and Dickens’ ‘The Pickwick Papers’ as volumes 2 and 3. I’ve written about both of them here and I have copies of (what I believe to be) a first printing of each of them. But in both cases what I have is a hardback, privately bound, copy of a book that would originally have been issued as a paperback. Most of those first printings may have stayed as paperbacks, but if they did then they suffered the usual fate of paperbacks. It’s pretty tough for a paperback to survive over 170 years. 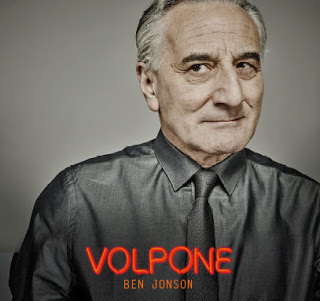 So far as I know, no paperback first printing of volumes 1, 2 or 3 has made it through. Only copies that were taken to a bookbinder and given a sturdier binding, have survived. It’s possible that a first printing of volume 4 has survived, but first we need to know how to recognise a first printing. For Tauchnitz Editions unfortunately, the date on the title page is of little use and there is no printing history on the back. Luckily most paperbacks are easier to date than hardbacks. From 1872 to 1934 they generally carry the true printing date at the top of the back wrapper and there are also differences in the format of the first printing wrappers that distinguish them from reprints. Before 1872 it’s more difficult, but copies can usually be dated by reference to the other books that are advertised on the wrappers. 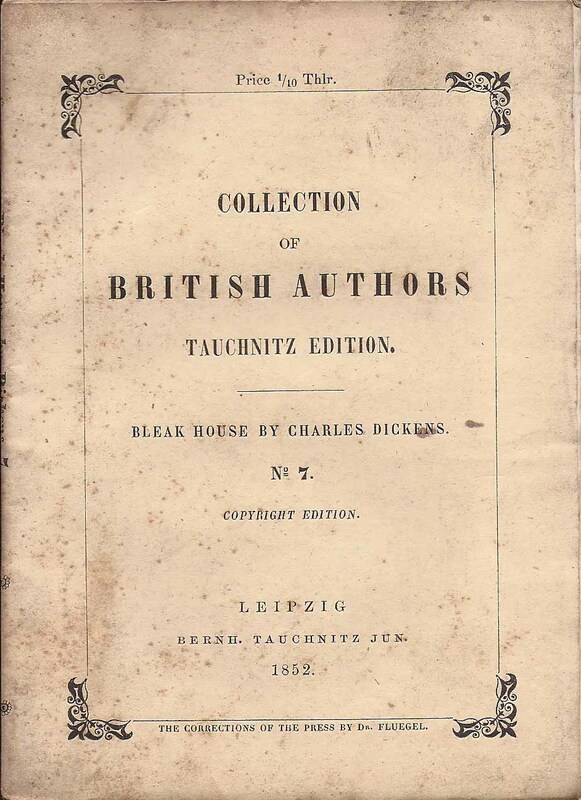 So any early paperback from 1842 should not advertise more than a handful of other titles – the series had reached volume 32 by the end of the year, and a first printing copy should not advertise any titles published much later than itself. The Tauchnitz bibliographers, Todd & Bowden, found very few copies that came even close to meeting these conditions. An early copy of volume 1, held in the New York Public Library, lists other titles up to volume 52 and a copy of volume 8 in Paris lists titles up to volume 79. More promising are a paperback copy of volume 12, also in the Bibliotèque Nationale in Paris, advertising titles up to volume 21 and a copy of volume 31 in the Netherlands (in the Koninklijke Bibliotheek in the Hague) listing nothing later than volume 32. Both of these are likely to be first printings as volume 12 was issued out of sequence and roughly at the same time as volume 21. 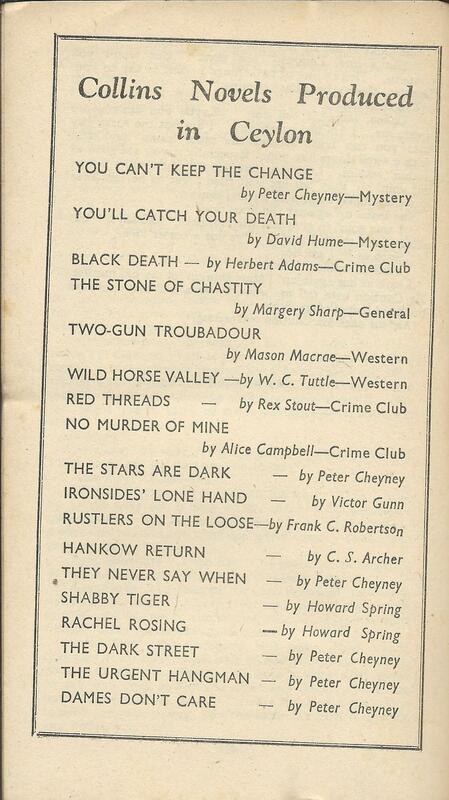 Advertising just 7 books in the series – possibly the earliest Tauchnitz paperback to survive. Even earlier though are two copies in my collection that list only 7 titles on the back wrapper. One of these is volume 7 itself, ‘Paul Clifford’ by Bulwer Lytton, so is almost certainly a first printing. 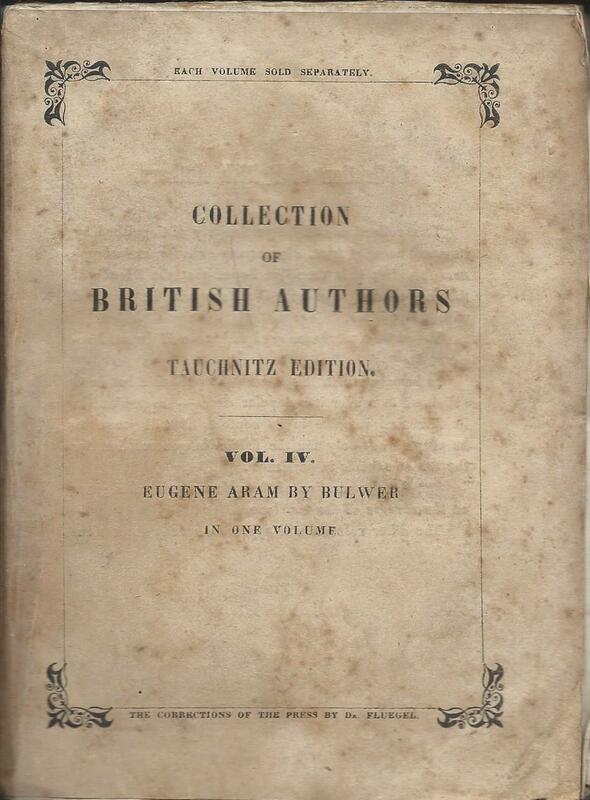 The other is volume 4, ‘Eugene Aram’, also by Lytton. 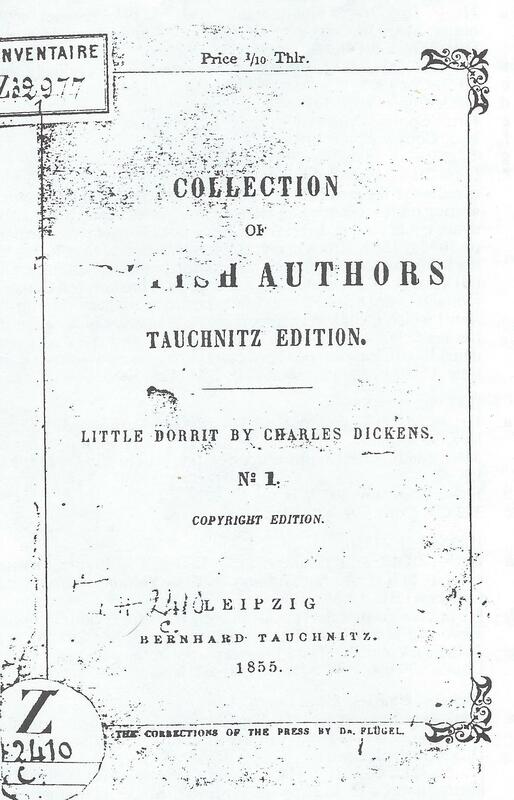 Tauchnitz announced the publication of volume 4 at the end of December 1841 and didn’t announce volume 7 until nearly the end of February 1842, so it’s perhaps unlikely that the first printing of volume 4 would advertise volume 7 as having been printed. However there’s considerable doubt about exactly when the early books were published, and some evidence of announcements coming significantly ahead of actual printing, so until someone can produce an earlier copy, I still cling to the hope that my copy may be a first printing. I worked through the summer of 2014 without really making much progress. I had limited time to spend outdoors and when I did get out the garden was calling me louder than the field. 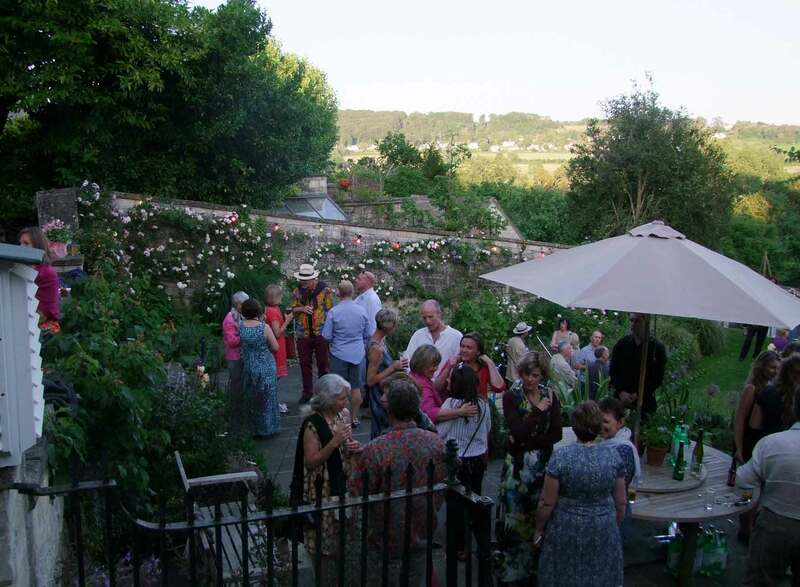 We had a big party in the garden in midsummer and it was looking wonderful, but if it was hard work already keeping the garden under control, what kind of maintenance nightmare was I creating down in the field. A few of the guests wandered down towards the field, but even if they were interested, or aware enough of what we were doing, it was hardly possible to get in to it in party clothes. You still needed protection against the nettles and brambles, which were getting worse rather than better. In the winter there’s an illusion of progress, because the nettles die back and the brambles at least pause in their endless reaching out and re-rooting. But in summer they were merciless, re-covering every square inch of cleared ground. I had spent hours in the winter digging out bramble roots, but where one had gone, there suddenly seemed to be five new ones, springing up from the bits of root left unexcavated. And there was a whole range of new types of weed taking over. Nature abhors a vacuum and weeds will rush in to any cleared space. Sticky willy (gallium aparine) seemed particularly aggressive, but it was far from the only invader. All the usual garden and hedgerow weeds rushed in and many others that were less familiar to me. By July there was little sign that I’d done any clearing at all. The jungle had re-established itself. Even the rediscovered steps out onto the road were disappearing again. That was a blow too far to my pride in the progress I’d made earlier in the year. At least in that corner of the field I fought back, cleared the weeds, put in a board to edge the steps and in the autumn re-seeded with grass, mixed in with wildflower seed. I wasn’t sure that I could really distinguish wild flowers (good) from weeds (bad), but this was a hedgerow bank, not a lawn, so there had to be some tolerance of nature’s disorder. I kept cutting back and cutting back elsewhere, but in reality I was just waiting for the autumn to call a halt to rampant growth. Only then could we take the next step forward.